How does a bootstrapped founder who sells candles, reach a $1 million dollar run rate in his first year? Justin Winter is the Co-founder of Diamond Candles, which sells candles that have a hidden surprise inside. After you burn down his candles you’ll find a diamond ring that you can wear or give as a gift. Justin Winter is the Co-founder of Diamond Candles, which sells candles that have a hidden surprise inside. Andrew: Three messages before we get started. First, do you need a single phone number that comes with multiple extensions, so anyone who works at your company can be reached no matter where they are? Go to Grasshopper.com. It’s the virtual phone system that entrepreneurs love. Next, does anyone you know need a beautiful online store, that actually increases sales, but is easy to set up and manage? Send them to Shopify.com. The platform that top online stores are running on right now. Finally, do you need a lawyer who actually understand the startup world that you and I live in? Go to Walkercorporatelaw.com. I’ve known Scott Edward Walker for years, so tell him you’re a friend of mine, and he’ll take good care of you. Here’s your program. Hey there, Freedom Fighters. My name is Andrew Warner. I’m the founder of Mixergy.com, home of the ambitious upstart. And in this interview, I want to find out how a boot strapper who sells candles, can reach a million dollar run rate, in his first year in business. Justin Winter, who you see up on your screen, is the co-founder of Diamond Candles, which sells candles, that have a hidden surprise inside. After you burn down his candles, you’ll find a diamond ring that you can wear or give as a gift. I invited him here, to find out how he built up his business. Justin, welcome. Justin: Glad to be here. Glad to be here. Andrew: So Justin, I got the run rate of a million dollars in his first year quote, basically from a website that you wrote on. So that’s basically me lifting your statement. What I’d like as the first answer in this interview, is something clearer than a run rate. Because a run rate frankly, could just be 12 times your best month ever, ta da, now you’re a zillionaire. Andrew: Give me, like what’s the actual revenue in your first year of business? Justin: Yeah, a few weeks before our first 12 months in counting kind of, a period of us, we might consider it really a Beta, however, we’re still kind of figuring things out, we crossed over the million dollars in sales mark. The first 10 or 12 months from day one, kind of a Beta testing period, more or less, and kind of a full 12 months later. So a million that first 12 months, we’re coming up on our second full 12 months, and now we’re at the million a month mark, as an average now. Andrew: Let me make sure that I get this right. When we first met you, it was a million dollar run rate, but you actually hit a million dollars in revenue, the first 12 months that you were in business? Andrew: And you’ve only been in business, including going back to the very beginning, beginning, roughly 12 months. Andrew: Congratulations. No wonder you’ve got such a big smile on your face. And now what you’re telling me is, your new run rate is, how much? Justin: A million a month, so $12 million. Andrew: So you’re actually starting to do a million dollars in revenue, a month, selling freakin’ candles. A product that’s existed for years, for ages. You add a little twist to it, which we’re going to find out how you got to, and man have you done a lot with this idea. And the idea wasn’t’ actually yours, it came to you from your co-founder, who one day said to you in a very excited way, what? Justin: He said, hey Justin, I’ve got this crazy idea. I can’t go to sleep, I keep waking up. Long time ago, I had this idea, back, his wife Brenda, also a co-founder here with us, back when they were youngens, they’re still young, but back several years ago, he was trying to find a gift for her for one of their first anniversaries. He had gotten her a ring, and was looking around, and for whatever reason at the jewelry store or wherever he was, he didn’t find something to, like, a ring box to put it in. And Brenda loved candles, so he had gone to the little supermarket or what have you, he was looking for a box and some candles. And he had one of each in his hands, and he was like, wait, right? That was kind of the lightning bolt, right there. He was like, wouldn’t it be cool, if, almost kind of like the Cracker Jack box concept. We put one of these rings down inside the candle, when you burned that candle down, it kind of gave you that surprise, with what type of ring you’re going to get. So when he, when he first came to me with this idea, and kind of gave me the back story and everything, to be honest, I thought he was a little crazy. I’ll just throw that out there, but, his enthusiasm was so contagious, I said, hey well, you know, at the end of the day let’s try it out, maybe people will love this, and we can kind of see where it goes from there. Andrew: OK. I’m going to find out from you, how you knew the idea wasn’t crazy and worth your time to invest in, and how you knew there was an actual market for it. But, first people are going to wonder, who is this guy? So you met him when you were working where? Justin: I met him when I was actually at Shoebox, a local Durham area start- up here and was in a sales and marketing capacity there, and had always, even back in college, kind of on the side, always kind of been a tinkerer, putting up craigslist ads, “Hey, I hope your business, you know make a new website, get you some more leads.” That type of thing. I’m just kind of throwing some of these out there, almost kind of just for fun, just to continue my learning practically with figuring this stuff out. Andrew: I see. You’re just throwing up Craigslist ads saying, “Hey, I can help . . .
Andrew: . . . your SEO. I can help your website.’ You’re just trying to see what kind of work you can get for yourself. And when you get work, you’re learning from it and, hopefully, building a business. One of the people who responded to your post ended up becoming, or couple, ended up becoming friends, and then rushed to you with this idea, and said, “Hey, I have this idea and I have a guy who knows technology. He can build a website and build a business with me on it.” You, as you mentioned, are always a guy who was into business, who had this, it seems to me, in your blood, I mean, going back to, you put yourself through school selling something, selling what? Justin: Yeah. Cutco. For a company called Vector marketing. Cutco is a line of high quality kitchen tools and accessories. Their primary product line, as the name might imply, is cutlery. Kitchen knives, paring knives, butcher knives, whatever it might be. Originally, out of high school, had gone in for the interview and, as is typical for selling Cutco, it’s a very popular college kid job kind of thing. I kind of got in there and ended up, wasn’t very good to start, but got a little bit further in, ended up taking the water there, and during the course of school sold, I think about, [??] I sold about $97 thousand worth of Cutco. The way you do that was you do these kind of in-home product demonstrations with a kind of Mrs. Jones, kind of that married, middle-aged, middle income, kind of female there. It was definitely a huge learning experience. It was a lot of fun too. Andrew: You’re going into people’s homes and selling them knives. I’m thinking to back to when I was in school. I wouldn’t have known someone who needed a knife. To this day, I wouldn’t know who needs a knife. How are you finding people who need knives, and working your way into their homes to persuade them to buy yours? Justin: Yeah, I guess the first point is we didn’t look for people who were looking for knives. The marketing strategy in some sense is, hey, I had this network of people that I knew from, you know, the high school I went to and through church and things like that. More or less, I’d have the Rolodex, so everyone’s home addresses with the parent’s names, and I’d call them up and be like. you know, “Hey, Mrs. Jones. This is Justin. I got to school with, you know, your son, Sam. Right. Hey, I’m doing this thing, and they pay me to do this little sales demonstration. Help me out, please? Right. And then, like, “Oh, OK.” Right. “I don’t have to buy anything, right?” Like, oh, of course not. Right. Then you have your little sample kit, you do all of these demonstrations. It was about a pretty long thing, anywhere from 45 minutes to an hour and a half long. You’d sit there and you’d have them get the knives out of their drawer and, kind of, do a features and benefits type thing. Have them actually use the knives and, by the time you got done, “Oh, man, yeah, my knives do stink. I can see the value in this.” Right? I think the average order was something in the range of $275, closing rate like 75, 80%. The full set of these things were like a thousand bucks. That’s gives some context to, they weren’t like $10 paring knives. It was really crazy, but it was a definitely lot of fun. Andrew: I’ve got to put this out there to my audience. If anyone out there knows how to do one of these sales presentations backwards and forwards, maybe you used to be a manager at this business, maybe he is in the Cutco business or a business like the Cutco, or the Kirby vacuum people. I’ve got to have you here to do an interview. I’ve said this before about car salesmen, and I got this great guy to come on and do an interview about how he sold cars, even though he wasn’t a real car salesman, what he learned from the process. I learned a lot from him, from Fred. I want to do a similar thing about this in-home sales. if you are someone who knows how to do it, how to take a stranger and get him to buy knives from you or a vacuum from you, or I don’t know what, please reach out to us. I want to do an interview with you. For now, since I’ve got you, Justin, here, and we have so much to go on, I want to move past it. Give me one thing that you learned about selling to a stranger that you didn’t know before. One tactic. Justin: Right. Right. I definitely think one of my goals going in to each and every demonstration, each and every appointment, kind of saying, by the time that I left that appointment time there for the 30 minutes, two hours, or whatever it might be, the person on the other side of table, or the person next to me there on the table, should either want to marry me or adopt me. Very, very much about the relationship. Particularly, in that context. Andrew: How do you do that in a short period of time, because frankly I’ve known my parents my whole life, they don’t want to have me in the family. Justin: Right. That’s . . .
Andrew: So you’re now getting people who don’t have you in the family to want you to feel like you’re in the family. What do you do? Justin: Yeah. I think a great example for it is definitely making that personal connection. It takes a lot of practice. Obviously, selling that much cutlery, I did a lot of these demonstrations. You can kind of do quick math on it. A lot of practice. I was horrible, day one. I had my little book flipping that pages ,and I had my script I was reading off of. “And then, this knife is . . .” [speaking slowly] So it’s really . . .
Andrew: So for you the biggest lesson from that was just do it over and over and over and over till you lose that discomfort, and become so good at it that people want you in the family. Justin: Yeah, I think it was an issue of, once I was comfortable with the material to where I could be conversational. Then it really wasn’t about the knives so much anymore. I think a great example, there was this one lady who, working on a weekend from school, I drove an hour out to this lady. I was doing a sharpening demonstration. She was already really familiar with the product and everything. Got there, meet the lady, and just trying to make a friend. Just learn more about her, and tell her about me and my bowls, and what I’m doing and things like her. A middle-aged lady. I think her husband worked for the government up in Washington, D.C. It was in the Charlottesville, Virginia area, so this was a three, four hour commute for the husband, and he would stay there for most of the week. Then she had an older son who had a mental disability and was her only son. His name was actually Justin. Kind of what evolved over the course of this time. Really saw just a person who, in many ways, kind of was lonely, a little bit, and just wanted somebody to talk to. Through the common ground of we both really liked Petco, and kind of what that meant, we would really connect. I was able to meet a friend. Sometimes, it doesn’t necessarily have to, but in that particular [?? ], I think she already had $1,500 worth of stuff, maybe. I got there, maybe, at 7:00 on a Friday night, or Saturday night, or something. I actually ended up staying there with her until like 2:00 in the morning. It looks super sketch. I’m calling my girlfriend, “Hey, like, you know, it’s OK, you know.” [laughs] And all this. We just couldn’t stop talking. Right. Because we hit it off so well. Through that time, it ended up something with her family back home in some western European country, cutlery was like a really big thing, and for whatever reason, red was very popular. We had this special edition Red Cutco set. She ended up doing all of her Christmas shopping with me, basically buying every other product Cutco has, that she didn’t have. It was like a $6,000 order. So, it’s, like, this, whoa . . .
Andrew: She’s buying thousands of dollars’ worth of cutlery from you because you’re so friendly, and you guys have created a relationship, and then she’s giving it as Christmas gifts, I imagine. Justin: Yeah. It was actually really met a need. I don’t feel bad about she spent all this money. She wanted it. There was an application. She thought it was going to be a great gift, was enthusiastic. That personal relationship with, you’re just finding those needs and figuring out where there can be value. It just was a great learning experience for me, and certainly set the tone for a lot of my relationships in the future in business and otherwise. Andrew: Now you have this idea brought to you by David. How do you know that it’s a good enough idea that other people are going to want diamond rings in their candles, and not something so unique to David that, if you build a business around, you’re going to have a customer of one and you’ll have wasted your time and money? What did you do to give yourself the go, no go, decision? Justin: Right. Right, Yeah. it was definitely a situation where we said, hey, let’s try to test this as cheaply and quickly as possible. With candles, it’s not something you have to send off to China, and six months later, you get your product back. It’s something where there are a lot of resources out there, where people like to do crafting, like just to make candles at home. We very much went on a rapid, kind of, learning. I used to make really, really high quality eco-friendly candles, and we decided that, hey, here’s what we’re going to do, you know, we’re going to, you know, finalize, yeah certainly, the company name, kind-of what our, our positioning is and our branding and things. We’re going to, we used a crowd source design site for the logo and for our initial five products, for the labels, and you know, did a small production run, obviously of labels, you know, maybe 100 of something like that, of each of these, you know, five different ones here. And then, when, we literally, and actually there’s a, an about us story on our website where you can kind-of see, actually, a clip of this old stove off craigslist that we bought. Like, just that, like a kitchen stove. And we would literally put the pots up on here that would melt the wax and we’d make them on this old stove, kind of in this old area where, you know, the construction company was here. We figured out in a very, very short period of time, to just to get out some type of product, and then once we did that, how do we test this, and we knew, hey, the easiest way to do that is going to be with a website, however you get the eyeballs. We said, hey, Facebook, right? So we all had, a connections on Facebook in between close family and friends, you know, everyone probably had a few thousand friends. So we more or less, you know, we ran a contest, a contest that we might have been with wild fire, for just, like, a sweepstakes, um, and. Andrew: No, let’s, let’s take this a little bit slowly, I want to dive into every part of this, so what the shorter answer to what I’ve just asked you is, and I’m going to dive into it the way that you did and, and more. But, you’re basically saying that we kept the production run small, we kept our expenses small, and we just ran a test that basically reached out to our friends and their connections on Facebook using a contest and at the end of that you knew whether the idea was successful, was likely to be successful or not and that’s how you decided to pursue it more, and spend more time on it. You also went to look at your competitors, you told Jeremy, our producer, I’m wondering why? There is no competitor out there who has a ring inside of a candle, why bother? Where did you go look at them and why bother? Justin: Right, no. I think for us, they want kind of the unique and fun concept of a ring in a candle. We did want Diamond Candles to just be that. You just kind of one way to see anon [??]. So we really, we looked at some of the larger candle companies out that your average person, you know, in, candle buyers are predominately female, and we, you know, asked ladies, said, “Hey, what candles do you buy? Which ones do you like?” and, you know, we heard the same three or four names over and over again. So, we would just, look on the websites, you know, for the ones that had any type of physical presence, we’d go there and check them out, and you know, we saw that, hey, there’s a really big opportunity to differentiate on the product apart from kind-of this fun, exciting, kind-of unique idea, with really having a sustainable eco-friendly candle product, where in many other industries, there was kind-of that leading eco-brand. But in home fragrance there really wasn’t that. So, you know, we sat back and said hey, like, you know, we, I mean we can do that like it’s going to take a lot of work, but let’s figure that out and let’s make that, kind-of, our thing. So it’s kind of this fun concept, you know, that the products being in, differentiated are there, and then, you know, online and being very social. It was kind of, you know, just give us those three legs to stand on, Dave. Andrew: What’s not eco-friendly about candles? Justin: Right. Right. Good, good question. So, Candles, the, the majority of them that you’ll see on, you know, on the shelves anywhere, unless the specifically say otherwise are made from paraffin wax. And paraffin is a petroleum derivative. So, it’s made out of oil in many cases. With Soy, you know, you can grow soy plants again, and again, and again. You know, we’re only going to have so much petroleum eventually, down the road. Andrew: Right, and a lot of people would tell us don’t just get into a business where you don’t know the market well enough, to, to be a buyer. You weren’t a huge candle buyer. You had to go look at the competition. You had to talk to people to find out. So basically, you tell me. If you weren’t such a buyer, if you weren’t your typical customer and neither were David and Brenda, tell me more about what you did to understand your typical customer, about what you did to find them. Justin: Right. Right. Yeah, I think two things. Brenda was our customer, right. She’s a female. She frequently bought candles. I mean, I’ll be honest with myself, I wasn’t buying a candle every month, right. But my wife? She was. So, kind-of, on that intro, we had that component on our founding team, as well as, just, obviously I’m married to a female and live with a female, so I have that perspective. But I think, you know, in understanding the customer, I don’t think you necessarily have to, you know, be the customer. I think, you know, in going back to my experience, you know, in these hundreds of sales presentations to married, middle aged, females, right, I got, I, in many ways, understand my customer, because I’ve worked with that customer for a very, very long time. And because of the volume of, you know, the employment I did and the volume of people that I saw, was able to get a, a decent enough rounding of, kind-of, what that customer segment want. Andrew: to understand how someone would use it in their kitchen, you talked to as many who are in their kitchens, as possible. Andrew: And sold to many of them. And here, you talk to your wife. You talk to Brenda. You also mentioned that you talk to friends. What are you asking them? Justin: Yeah, I think, early on, it was talking to friends and family and even other people, and just Facebook messaging them saying, “Hey, we’re making this company, it’s these candles, got to hear the details, like what do you think, do you think it’s kind of cool, like, what are your initial reactions?” Pretty overwhelmingly, we kind of got that positive response. I think that can be dangerous sometimes, if that’s your only metric for whether or not we should move on. I think that, compounded with these other factors, it was just a reassuring sign that people were excited about the concept and thought that it could be done. Andrew: You know what. That’s one of the things that I admire about you. I hear in your voice here and, obviously through this interview, but also through the notes that Jeremy gave me on you on the conversation you guys had. You keep talking to people. I mean, we didn’t even get into this in the interview that, you went to your church, and you got permission to call everyone’s parents back when you were selling knives. You walked into people’s homes and you started talking about them. You saw that this woman was older than you and you weren’t uncomfortable and wanted to leave. You found out that she had a child who had an issue. You weren’t uncomfortable about that. You’re just constantly talking to people. As far as I can see, there’s no hesitation. Were you just naturally born that way, or did you have to do something to get over it? Justin: A lot of practice. Definitely, day one, naturally, I’m more of an introverted kind of guy. On Friday night, my inclination isn’t to go out with a bunch of friends. It’s to go home. I might watch a documentary. That’s kind of my natural reaction to social situations, in many ways. Early on, with Cutco, if you look at my sales for the summer, as time went on, gradually, it was like this flat line for two months where nothing was happening because I was so uncomfortable. I didn’t know how to call these parents I don’t even know. I didn’t get permission from anyone to call anyone’s parents. [laughs] They had these books, and I just kind of took some license with that. Andrew: Oh, I see. I thought the church gave you permission to do that. Justin: Oh, no. There were church directories that just everybody had. Right. I just kind of took it and started dialing for dollars. Andrew: I see. [laughs] I got, here’s what Jeremy wrote from your conversation. I got all the address books from my church, and got permission to call, oh, so he did say that you got permission to call people’s parents. But, you’re saying no. [laughs] That’s the thing about doing an interview, once you- . . .
Andrew: . . . once you’ve got the camera on you, you just tend to open up in a different way. Andrew: All right. Here’s the other thing that you did. You set yourself a goal of launching on Valentine’s Day. Right? Andrew: Of getting your first dale on Valentine’s Day, or sending your product and having it delivered on Valentine’s Day? Justin: I don’t think it really mattered much. It’s not like we would have done a million dollars if we did it the day before. I mean, our store audience was so small the point was really a test anyway. Andrew: How many people did you get to join your mailing list? Justin: What we did when we used Wildfire, which I mentioned before, we used their sweepstakes app. David and Brenda had a beach house. They already had three days, two nights. This isn’t going to cost us anything, but that would be enough of an incentive to get people to sign up. I think doing that and spamming our friends, and borrowing features that Wildfire had built in there, we had 2500 to 3000 people who had signed up. Really, what we did was we took it out of this, imported it into mail chimp and was just, like, send. “Hey, everybody, here’s the person who won. If it wasn’t you, hey, Diamond Candles, here’s our new thing. Check out our website” That was the traffic. That was day one. In that first 24-hour period, I think we sold a dozen candles. We were just out of the world excited with things. We didn’t plan on what to expect and that was the first time we’re like, oh, people will actually give us their credit card information and actually pay us for this thing. Andrew: You didn’t say I’m going to open up my store and then hope to get customers. You said I need to get potential customers in the door quickly, and the way you did it was by using Wildfire. I interviewed the founder, Victoria Ransom, I think her last name is, here on Mixergy. She just has tools that allow you to run contests on social networks. Right? Andrew: By the way, I think she sold to Google and we’ve been trying to get her to come back, and she says, “Not yet, not yet, not yet,” but Victoria, we’ve got to get you back on here to talk about what happened after the interview and how you sold the business. So the contest was just, “Spend time at my co-founder’s beach house for three days”, and you got that many people to give you their email addresses? Justin: Yep, yep, exactly. Simple as that, yep. Andrew: Wow, that’s pretty incredible. The other thing you did was, because you still needed some people to join, was you told Jeremy you spammed your friends. Justin: Yeah, that was basically it. “Hey, we have this contest. We’re starting this new thing called Diamond Candles, and we’re going to make an announcement about this. It’s just going to be really awesome,” and “Sign up for the contest. You might win. There are not many people signing up. You have a good chance. Hey, check it out.” That was it and we really just went down the list on the Facebook and email and everything. We were just going to copy and paste and dispatch this to everyone that we had a personal connection with. Andrew: What was especially useful about Wildfire is that the contest was viral, right, so you can reach beyond the people who you have direct contact with. Otherwise you wouldn’t have reached 1,000 people, let alone 2,500 to 3,000 people. What was the viral hook? What was the incentive for people to get their friends and acquaintances to join your mailing list? Justin: I think one of the big things that we were able to tap in to, we figured out early on during this period where people could enter the contest, we were starting to get very active on Facebook and talk to people and learn more about our customers, and soak up as much information as we could. We learned early on that some of the people we started to see coming to us were people we didn’t have a personal connection with, and it was kind of maybe the Mom-blogger community, these “sweepers,” right? You know, people who spend a lot of time entering sweepstakes all the time, just kind of as a hobby. I think once we figured that piece out, just doing some Google searches, maybe spent a half hour and did some searches for places where these people congregate. You know these people congregate, right? And there’s a lot of different aggregators and things like that for these contests, so on a few of these different sites was able to get our contest out there, and then from different sites we’d have a few hundred from here, a few hundred from here, you know, that type of thing. Andrew: I see, OK. But was there a viral hook too? Andrew: OK, then let’s not force it. If it wasn’t so big that you remember it then it’s not worth spending too much time on. So the way you got people to enter the contest was, you reached out to all these different communities where contest players go, and where contests are promoted, and you got the word out there to 2,500 people, “It’s now time, on Valentine’s Day to launch this product.” How many orders came to you on the first day? Justin: It was about a dozen. About 12 orders. Well, 12 candles, maybe. Some people might have bought one or maybe two, or something, but about 12 candles. Andrew: How were you feeling about it at that point? Justin: Oh, just ridiculously good. I mean, we were just so excited through the roof. We didn’t really have any idea in terms of what would happen. Some context as well. We had figured out, that was maybe on a Tuesday, I think, on Valentine’s Day that year. Just that last Saturday, we had heard, maybe two days before that Saturday, that there was a local flea market type thing in the area, and we said, “Hey, we already have the candles made, let’s just go there and stick up the candles, and see, kind of get real-time feedback, right? We’d gone there 8:00 AM Saturday morning and we’re there until maybe 2:00. More or less completely bombed, right? We had 60-something candles, this really nice-looking display, and we select 3 or 4, but pretty heavy foot traffic and people kept saying, “Hey, where did you get these? Where did you get these?” Right? We’re like, “No, we made them.” “No, who are you selling these for?” Like, “No, we made them,” because they thought it was like Mary Kay or something we’re getting these from some company and we’re selling them. We got that type of feedback, but we really didn’t sell anywhere near as many as we thought, given what we thought was a reasonable expectation, so we kind of were a little down there. Going into that Tuesday when we didn’t have to drive anywhere and set up shop, we sold a dozen of them. It was just like, “Ah!” We were worried there for a second, but it kind of came through and it worked out. Andrew: All over your website I see pictures of your people pouring the wax. Is it wax? No, what is it called before its wax? Justin: Before the candles are wax? Andrew: Yeah. I see you guys pouring some liquid into a candle and showing how you’re making it yourselves, in Durham, North Carolina. Justin: Yeah. No, just melted wax, right? We get the wax in bulk, right? And we melt it down and then we put in our proprietary ingredients for the fragrance and color and . . .
Justin: yeah, I mean so. I think one of the motivations for that video, as an example, for that story, was you’re figuring out the way we’re going to compete against the 100 million dollar a year home fragrance giant with, you know, 500 physical retail locations is by having a story, being more personable, being more sociable, and more fun. Utilizing the online better than everyone else was in that category. So, I think for us, the decision on that video was, you know, “Hey, how can we most effectively tell this really unique story,” with the background of the founders, to how the products were made by hand all these different things. Hopefully, here in Durham, emphasizing value, there’s a shot of the skyline there. That was a way for people to really connect with our brains and say, “hey, that was a little guy,” they put a lot of care into this, and this is something that’s unique and valuable compared to this mass produced thing from china that doesn’t have any character. Andrew: All right, so you get a dozen. You also told Jeremy you started to make some sales by talking to people on Facebook. How do you talk to people on Facebook and get sales? Justin: Right, so, really before we launched (?) we’re doing on our Facebook, once people can buy stuff now we said, hey let’s just keep doing contests, it works. By the time we have grown our fan base pretty high up to that point. I think the contest was you had to like the page, so we had 2,500 or so fans by that time. So, we said let’s figure out a way to make Facebook a destination and make it fun for people. So early on in a lot of conversations, what is this, how does that work and you’re explaining it, we saw people post pictures of the rings they found inside their candles, in the engagement on the response of other people back to that content, which is just great. And we saw kind of this really unique, exciting thing that people loved watching that experience that other people had, and in some sense coveted that experience, “I want to have an exciting surprise moment,” so very early on we said, “Hey, the product here, it’s not the ring in the candle.” It’s really the experience, the anticipation, the excitement, and the surprise these products deliver to people. So, whether that’s your middle-aged mother (?) and they want a little retreat for that week, and candles is a way for them to have that right or whatever it may be. Andrew: So they come in and they see other people who have won the ring, they find you guys, they talk to you guys. And they end up buying? Justin: Right, so (?) I get this ring and these guys are trying to look cool. We’re trying to look cool, so we focused on capturing that moment with videos and photos, and using contests and sweepstakes to share that user-generated content out, and people wouldn’t actually come back to those. Andrew: Okay, start off contest, sell to the people on the list. Then you keep talking to people on Facebook, grow your sales, things are starting to pick up, but unlike me where when I get more orders all it needs is more customer support because I don’t need to ship anything, I don’t have to work much harder to satisfy more customers. For you, you have to actually make the candles, ship the candles, deal with issues in transportation. Talk a little bit about that. I don’t want to brush it over and make it seem like such a simple idea, you set up a Facebook page and a contest and you’re making a million dollars in sales a month. Tell me about some of the issues that go into creating and shipping all this stuff. Justin: Yeah, I know, it’s definitely a learning curve with things. We were figuring out as we went, none of us had a background in candle companies or anything like that. So I think a great kind of moment for us that defined the coming months was, we initially launched five different fragrances, three or four months later, coming up to Mother’s Day, this is probably going to be a great holiday as gifts for mothers. Let’s come out with five new fragrances, you have a total of ten, let’s launch this a few weeks before so we can get this in time for people. It will be a great gift and we’ll sell ton of stuff. We get all of this together, we launch this, and we did sell a ton. It was ridiculous. We were just totally blown away by how much we sold, but then we were like, “Oh, my word, we have to… ” We had sold everything that we had already made. And then at that time we were actually shipping these out ourselves. Like, the USPS truck and UPS, they were stopping by every day and we were getting the stuff to them. Obviously, we were relatively small, so very quickly it was like, “Oh, my word, we have to do something.” So family and friends were coming to help pack these out and make these candles. I think people were probably here ’til 1:00, 2:00 in the morning on a Friday night just to make these and get these out in time and get these shipped. So we pretty quickly figured out, “Hey, this is great and this is just ridiculous exciting.” But we had to figure out a different way to do this because we can’t be having to do an order and, obviously, ship their product a week later because it’s just we’re so overwhelmed with things. So kind of that scaling issue was a big one for us, and it was, I think, a sign of things to come. As just continuing with our growth, our biggest issue to date has really just been scaling different systems with its production or fulfillment or customer service, and things like that. So we can meet up with the demand that we’re having for things. Andrew: Later on, I want to do a section of this interview where we just talk about the resources that you use. I think one of them is… You use an outsourcing company now, right? Justin: Right. Right. So we manufacture these ourselves, so we’re not using a contract manufacturing company for that. But for fulfillment, we figured out early on that we don’t want to be experts in shipping out orders — that’s a huge undertaking. So we are partnered with Shipwire.com. So more or less, and now, obviously, we’re on a much larger scale. But we’re packing these up by the 18-wheeler of a truckload, by the pallet load, and we’re shipping these to Shipwire’s warehouses and then it syncs with our current website, which is run on Shopify. So as soon as an order comes in, it’s shot over to Shipwire, and they’re picking and packing it and then shipping it out directly to the customer. So if we did this launch, all we have to do is get the product there. And the huge spike in things, we don’t have to deal with operational issues or hiring more people or temporary work, or anything like that — it’s just completely seamless. When looking back, one of the best decisions we made was changing that over as soon as we possibly could. Andrew: I see. And so Shopify automatically sends the order over to Shipwire — that’s who you use. Shipwire the product to the customer. You are dealing with 18-wheelers who come to your place to pick up your candles. A year ago, you weren’t in this business at all. How are you feeling when you see an 18-wheeler suddenly pick up your product? Justin: Yeah, I know. It’s surreal sometimes to look at that and be like, “We just filled up an 18-wheeler.” And this is happening how many times a week? So it is completely really unreal. In the facility, we’re working of an extremely small space for a long time, just here two or three months until we’re able to move to an area significantly larger, I’ll say for sure. And just being able to look at this huge kind of warehouse where we’re manufacturing now, and just this huge area, it’s just like, “Really, selling candles?” Wow. Like how did we get here, and how did we get here so fast, and just on our time, just recycling the profit from day one, growing this, and now what we have 15 people full-time in production. So it’s ridiculous. Andrew: You’re a Mixergy fan? Andrew: You’ve watched people in past interviews talk about their success. Do you ever feel when you watch them, “You know what, that’s just not possible. This is just too out of reach for me.”? Or are you the kind of person who says, “Yes, I get it. This is what’s available for me in my lifetime.”? Justin: Right. Right. Yeah, no. I think I’m in that later camp there. I think I… For me, just the way I see other stories, I see those and I’m like okay… It’s like, “Hey, if they can do that, I can do that.” Right? Or it’ll be something really random, and I’m sure everyone who’s watching is like, “Really, selling candles? Oh, why didn’t I think of that?” It sounds so stupid, but obviously it’s like really, really working, right? Here’s an example of someone doing a business like that now. I just take that, like do stuff better, add all these cools tools to make everything just like awesome and just go. Right? So you got to dream a little bit. But it’s very empowering, and it’s very exciting to see everything that’s available out there in other people’s stores, for sure. Andrew: It was a moment, though, where it wasn’t so exciting. Where other people might have given up. Where . . .
Andrew: . . . something happened with people’s order. They placed an order with you. You guys screwed up. They placed an order with you. You screwed up. Tell the full story here. What exactly happened there? Justin: Yeah. Let this be a telltale story here and an encouragement, very much so. It was, I think, around Mother’s Day this year. We were expecting another large Mother’s Day, and we’re kind of doing the numbers on, what’s kind of our average day pre-Mother’s Day now relative to last year. What’s kind of the growth rate? What do we think this is going to kind of be here? We were still on the five new products every few months kind of cycle. We had all these new products. It was completely my fault. That being said, it was all my bad. Setting things up with the site, and kind of putting in the product information, and setting everything up with Shopify. Shopify is great and it’s very easy and intuitive but, for whatever reason, I wasn’t paying any attention while I was doing this. So for these five new products, I left the skew number for those products to be the same skew for another product that we had. We get this all ready to go. We launch. Big sales day. We’re, yes, you know, something’s going great. Three or four days later, we started getting emails from customers and things like that saying, hey, I got my order but I got like three Apple Slice candles. Right. It’s like, that’s kind of funny. And then, a few hours later, the same email. It’s starting to pile up, like, wait, oh no, like, did something happen? We go back and we look at all this. Oh my word. We didn’t know exactly at the time, but there were over a thousand orders that we had sent out an Apple Slice candle to, where they should have been getting one of these other five completely brand new fragrances. This has already shipped to them. Obviously, we corrected it as much as we could there, so no one after it was getting that, but customers were freaking out and we’re freaking out trying to fix it. Then we figured it out, kind of put a patch on it. How can we fix this situation to where we’re going to send all this other stuff, you know, the Apple that we sent out wrong. It’s kind of a wash. Customers first. Put that patch on, more or less, and then we’re telling everyone, hey, we corrected it. It’s on the way. It’s good. Three or four days later, no one’s getting any of our orders. Go back and look at it, examine everything just to make sure it was done right. What we thought had fixed it, we didn’t fix it at all. So it was another four or five days. It still didn’t work, and then we tried to fix it again. A third time, we thought we had it fixed but we didn’t know until five or six business days later that it really wasn’t set up properly. Just trying to go back retroactively and do things with [film] on everything, it was kind of a big old mess. Excel spreadsheets and everything. Needless to say, customers were extremely patient. It was probably about a month and a half long saga before that last ticket was closed. Everyone was taken care of. It was probably the most stressful time we’ve had, to date, just trying to fix all those people. People were exceptionally gracious and helping them understand, hey, we don’t know what’s going on, but we’re going to fix it, stay up all night, you know, whatever we need to do. Andrew: And complaints, they were patient, but they were also complaining. Andrew: You were early stage, still under a year. How didn’t it take you out of business, especially when you’re hiring and buying products, and building inventory that you then later send out? Did you have enough of a cash base, or did David and Brenda step in with some cash? Justin: Right. We did have enough in the bank, thankfully. At that time, we were still very, very lean. At that time, we had just brought on our first other employee who wasn’t in manufacturing, and still relatively small with things. We were able to really just squeeze by, and keep the lights on and get everyone taken care of. It was definitely tight, but we really had enough to keep the lights on and keep things moving. Andrew: You sell your candles for what, 25 bucks, I think, roughly there? Andrew: The ring inside is valued at a minimum of ten bucks? Maybe . . .
Andrew: Maybe, costs you less. Maybe, costs you a little bit more sometimes, but . . .
Andrew: . . .that leaves with you, let’s say, 20 bucks left, on average. Andrew: And then shipping is on top of it, so there’s roughly 20 bucks profit for each candle you ship out. Justin: Right, so . . . I wish . . .
Andrew: Let me just say this, for people who took accounting class, were talking about gross. We’re not talking about net. Net doesn’t take into account things like the fact that he has to pay for a website to be up, the fact that he has to pay for all these different aspect of running a real business. Do I basically right? Justin: I would add to that. I think there are relative costs on our $25 candle, it’s the exact same size of a candle from the market leader. They have a candle that is exactly the same size, and exactly the same price point. A good way to think about it, roughly… Certainly they have some huge economies that are upscale that we don’t quite have yet. There are people in the seven – eight million dollar a year range. We are not quite there yet. Our relatively speaking, our cost per unit is similar in terms of the candle. With the rings being worth, at least, $10 at retail. Or up to $100.00, a $1,000.00, or $5,000.00. Certainly with the ring say, where do you get the rings… Really we are sourcing the rings from the same places a jeweler would source the rings from. With that, obviously we are getting whole sale on there on the rings. We are able to, after the cost of the candle. Of the unit, of the ring that is included, we are to make enough… More of a margin than most companies. Because we are vertically inter graded model, we are the manufacture and also the point of distribution, where if you go to the grocery store or wherever. Any candle you see there the store, on average, is going to be taking half of that. If it is $25.00 target they are going to take $12.00, and the candle manufacture for profit and cost of goods. Andrew: Ah right, and everyone along the way has taken a bite, with you. You guys own the whole process. How did you get on the Today Show? I paid a PR company back in the day, 20 thousands, I think roughly, maybe a more a month. They got me on good morning America, and a bunch of other newspapers. The Today Show, how did you guys get on there? Justin: A bit of perfect timing and dumb luck I think. Josh Vady, our community, and social media guru here that handles everything. I think he randomly was on Twitter or something like that. Seen someone who tweeted a tweet about needing some product over-nighted by tomorrow for this segment on the Today Show. Anybody out there, and let me know. He got right on the horn, and made the connection. He took a look at our product, and said “hey, oh wow, I think this will be a great fit” We over-nighted the stuff. We ended up getting on one of the segments where, here are three great products for the holidays. I think we were sandwiched in between there. All be totaled in maybe 15 seconds. Obviously, the Today Show made us huge. It was better than Black Friday, of course. Andrew: Wow, and they are recommending you, and even with a few seconds do you remember how many people would come onto your website, and what your reaction was when that happened? Justin: Yeah, we pulled up Google analytics, they are real time tracking feature. The way the show airs at the time in native time zones. So we have every hour spike, and we would be watching, and be like WOW! There it is again. I think at any given time, full on when we were sitting there looking at things. I think there were as many as 2,000 people on the site, at any given second. There might have even been a little hire, but that is the number that sticks out. Obviously all day long was our hugest traffic day. We had some previous residual from that from on how basic indicator on that. Andrew: Unreal. For me it was WOW look at how much… oh man look at how much our site is down, how do we fix it? We’d end up getting something like a quarter million registrations full of name, email address, home address. Andrew: Those outlets are so frickin’ powerful. One other thing I want to ask you about. This is Jeremy’s addition. I love we have this whole process here, where we find you in a certain way, were not just hopefully going to luck out and get a great guest. We find you, then we work with you to make sure we get the best stories. That we find the most useful information for the interview. One of the questions that Jeremy added to our roster of the pre-interview questions is. What question did I not ask you? Then you said, “Hey, you didn’t ask me about the essay contest”. Which frankly how are we going to ask you about the essay contest? That’s why that the one question for guess is so powerful. What is the essay contest? Why is it so effective for you? Justin: Right, right… The story here… One of the things that continually I am impressed about. When I sit and think about it for a minute. It’s the level of community that we have, on Facebook now we have close to near 225,000 fans total. Which is great, there is certainly a lot of brands that might have larger numbers, maybe smaller numbers. The thing I’m most proud about, and Josh here is kind of spearheading this all the time, kind of the day to day. It’s kind of that engagement rate. There’s other ways of to look at it, and this isn’t perfect, but kind of that talking about us number relative to that number, kind of that ratio is extremely high. Higher than most. 95th, 98th percentile type thing. We have this extremely active community that just love us, in some senses we’ve really been able to connect with people so well. Here, for the holidays, we sat down and said, what’s something kind of fun we could do, but a way we could kind of bring the community together and try to do something kind of cool for the holiday. We put together an essay contest, where it was essentially, ‘Hey, write a short story, kind of an essay about someone in your life, a friend or a family member, who you think that, this time of the year, really could use kind of some help. You know they’ve been through a lot this year whether it’s family related, health, natural disaster or whatever it might be. We kind of put this out there not knowing quite what to expect. Kind of the prizes were, kind of the levels were some gift cards and things, a few hundred bucks for each thing, and then just candles to make people smile. We put this out there and we had something like four or five hundred people. Actually, I take it back, it was about nine hundred people submit a story of someone else. You go through reading these things, and it’s kind of depressing. Right. There are just some crazy people. Ten different stories, and we put that list back out there for people to vote on and say, “Hey, you pick the person you think deserves this the most.” We put that out there. A huge amount of votes. A huge amount of participation with that. It was really kind of cool to see kind of cool to see all that come together, and I think one of the really neat moments, kind of overhearing some of these calls. Calling these people and letting them know kind of who won. No one saw between when the voting cut off, and who the top winners were before we kind of announced it. We called all the people who were kind of talked about in the stories, made sure they had permission, and all that kind of good stuff. Kind of letting them know that they have this, and overhearing some of these phone conversations with these people just so excited and so just like blown away. Their candle company, right? Their friend’s candle company is going to be giving them $500 to Wal-Mart or a gift card, or whatever it might be. It was something that was super cool to kind of see all of that and kind of, of course, the fact that, yes, we’re selling candles, but we really enjoy, we really want to be a part of these people’s lives in some way. I think we’ve been able to do that at a pretty significant level so far. It’s just been really cool. Andrew: A couple of thousand people voted. What did they need to do to vote? Justin: The op was there through Facebook. They could see the stories, preview them, and just click a button. Then they voted, so . . .
Andrew: Did you get their email address when they vote? Justin: Let me see. I’m trying to remember. I think we might have. We didn’t use the list for anything on the back end other than for identification purposes for that. I think, you know . . .
Andrew: You didn’t end up selling to those people? Justin: No, not directly. No. No. Andrew: That’s just an engagement tool. Justin: Yeah. Yeah. I think that there were some built-in tools, where when people would vote, it would give them the option to post to their Facebook wall, and things like that. So if they really felt passionate about a story, they could kind of bring in others to kind of support that story and help it rise to the top. Andrew: I see. I’m on your Facebook page. Facebook.com/diamondcandles. You guys are really good at using Facebook, at getting engagement. I’m seeing here a photo of candles, and it has 1178 likes. What the hell? Who’s going to like a candle that many times? Andrew: So I look at the top and it says, “If you can say yum to these, give a thumbs up.” That’s it. Andrew: And then you credit who took the photo. And so you’re asking people to thumbs it up? Andrew: That’s where that comes from. Andrew: Who’s running this for you? Where do these ideas come from? Justin: Yeah. It’s definitely, we’ve started out to make it a kind of core competency, really figuring out how to do that well. Day to day, Josh Beatty, who I mentioned before, he’s the one who’s doing most of the copywriting there for all that and really kind of closest in terms of touch points to everyone. We figured out that, for us, people enjoy candles. They like candles. They like the experience. How can we make our Facebook page, why should people care? So many things I see, that just frustrates the heck out of me, whether it’s a local business or a national brand. Hey, like us on Facebook. It’s like why? Why do I care? It’s just a waste of time. For us, we figured out the why. It’s hey, we do contests and we have fun. This is a place where people can upload photos of rings that they get in their candles. We have a lot of people where several times a week they’ll come back and say, “I wonder if someone received a thousand dollar ring this week, maybe a five thousand dollar ring. They go back. Oh, I want to see what someone got. It’s very exciting for them. It’s a reason for them to go back. In our interaction when we’re posting content out there, we’re making it relevant to our audience, to what our people are interested in. Certainly, we’re being very directive in what we’re calling people to do. We’re getting that engagement. We’re maximizing Facebook’s [??] so that’s being exposed to more people in their newsfeed and everything. It’s definitely reached huge dividends for us. I don’t know, without Facebook, we would not be anywhere near where we are today, for sure. I think that’s what’s exciting, at the end of the day, is very motivating for us. I think for a lot of other people, that you don’t need a ten thousand a month PC budget to compete with . . .
Andrew: It’s got to be exciting. You’re walking in and you’re not seeing just people who are buying your stuff, you’re seeing 1,400 people who just liked a blue candle being lit. You see people who are interacting with you and are getting excited about you. Andrew: You see a customer who took a photo, I guess it’s on Instagram, of herself holding the candle, and then a spike. I don’t know what she’s doing with the spike. But I do see that she then has . . .
Justin: She’s probably digging out her ring. Andrew: Oh. She’s digging out her ring. I see. Then she’s got the ring on her finger. She’s a very pretty woman. You feel like, all right, this is a kind of person who I aspire to be like. I want to look like her. This is really good stuff. It’s not like you’re looking at these people and going, “I’m a little disgusted by my fans.” I’d be proud. All right. Let me say this. I want to ask you two other questions. We’re going to talk about the resources that you use. I’m going to try this as an experiment. You and I are, for the first time, giving the audience something that they’ve asked for. Then I want to ask you one final question, which I think is an important question, which we’ll get to in a moment. First, I want to give a plug to Mixergy Premium. All I’m going to say now is, if you’ve listened to this interview and you want to follow up, here are three things that you can do. First, check out the Wildfire interview that I did with the founder of Wildfire, who talks about how she built up her company. If you’re interested at all in contests online, she’s the woman who basically created this whole space, and if not created it, she led it. Eventually, did really well with the business. I want you to hear how she did it, and I want you to hear about the contest space from her. Go to mixergypremium.com. Also, if you’re a premium member, or want to be a premium member, and are interested in this Facebook marketing, there are two courses that I recommend. Listen to the course with Nathan Latka. The guy is phenomenal at building a business on Facebook. In fact, he actually built software that grows on Facebook, and sold it on Facebook. You’ll see how he bootstrapped his business, and how you can build your business step by step in Nathan’s course. There’s another one, actually, by Lou Abromowitz [sp], who talks about how he did, essentially, the kind of stuff that we talked about here on Facebook, like saying, hey, if you like this, hit the like button, and so on. He did this for a friend of his, for Twig, the Fairy, and ended up building a successful business for a fairy. He talks step by step about the process that he used. 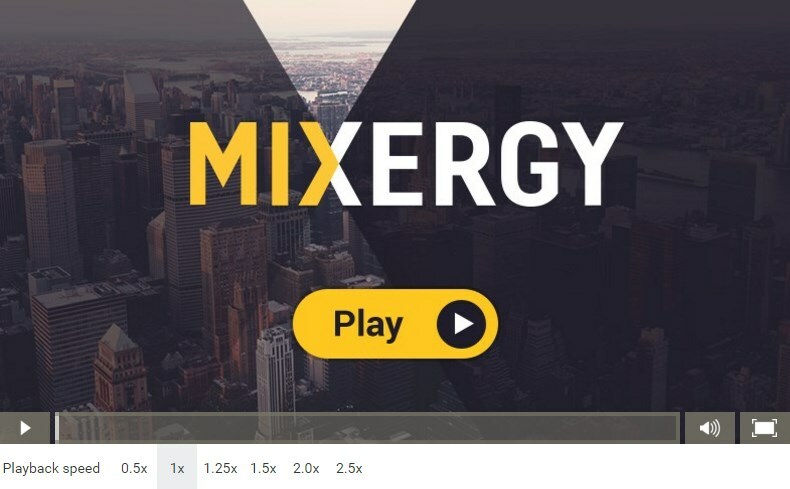 All that’s available to you at mixergypremium.com. If you’re a premium member, go take those courses as a follow-up to this interview. If you’re not, I hope you sign up, because there are dozens of great courses there, and over 800 interviews available to you, all with proven entrepreneurs. All right. Justin, here’s what the audience has said to me. They said, we want to hear the resources that people who are being interviewed use. I thought, “Hey. Frankly, maybe we’ll email or Twitter at the people who you’re referencing, and ask them to tweet about this interview, so we’ll grow the audience a bit. Maybe, I shouldn’t have said that out loud, because then all the other interview programs are going to say, I should copy Andrew on that too. That’s the risk of being the leader, you have to risk being copied. Let’s talk about some of the tools that you’ve used. Justin: Yeah. I think definitely Shopify, day one, until today. Andrew: Shopify set up a store quickly. How long did it take you to set up a store with them? Justin: An afternoon. I mean, really, really quickly [?? ], so hugely valuable and it brought us to where we are today. So . . .
Andrew: OK. For the video, actually, the design. Not the video player necessarily, but the reason that you’re lit up the way you are. You learned that from who? Justin: Yeah. Actually, in terms of directing the video . . .
Andrew: The lighting. You did something before the interview started. This, we didn’t go over specifically in our personal pre-interview. Justin: Yeah. Wistia. Wistia.com, business video hosting. I follow their blog and love those guys over there. A while back, I had seen a video blog post they had done, kind of a bare-bones video for lighting steps for a . . . You go down to Home Depot or pull up Amazon real quick. When I knew we were going to be talking today, I was like, “Just for the heck of it, for fun, before I go into the office today, let me go by Home Depot, pick this stuff up, and just play with it.” Then, it’s something I can have if I ever need to do some basic video stuff later on down the road. I can now go to. Andrew: You just followed their blog. It’s all available for free on Wistia’s blog. You did the lighting the way that they tell you to do it, not by buying professional lighting, just by buying the cheap stuff that you can get at Home Depot. Justin: Yeah. I think. The receipt is in my back pocket here. It’s $50 at Home Depot. Andrew: $50 for the whole setup. Andrew: We also talked about the outsourcing company that you use. Let’s give that name. Justin: Shipwire.com for outsourced fulfillment. Just send them your products. They ship them for you. Andrew: OK. For CRM, who do you use? Justin: Personal CRM, a lot of value in Contractually. Always testing different tools, but Contractually has been the one that has really stuck in [??]. Andrew: Why? Why do you like Contractually as a CRM? Sorry? Justin: Just saying, Contractually has been the [??]. Andrew: Sorry. What I was saying is, why do you like them? Justin: Oh. It just fits very, very seamlessly into the work flow. It’s something when you first get an email from someone, just right there in G- Mail or Google Apps, you can say, ‘Hey. Put them in this bucket of entrepreneurs or business contacts or advisers.’ Then, you automatically get an email at the beginning of every day with five people to follow up with. It kind of reminds you to maintain these relationships so you scale that follow-up on the back end. Andrew: It integrates into your email program. It also helps you remember who to follow up with. Who do you use for team collaboration? Justin: We tried out a bunch of them. The one that’s really stuck, and I’ve found the most value in for us, is Asana. A-S-A-N-A.com. That one has been huge for us. Justin: I couldn’t live without it. Justin: I think day one, it was the most intuitive solution. I didn’t have to spend 20 minutes figuring out just the basics. I was able to get in there and do the basics, and get value out of it. Then, certainly over time, I’m increasingly learning about the different features and things like that, how I can refine the process. Very easy to use, very social. It’s just simple, but still robust at the same time. Andrew: Give me a moment. We seem to be stepping on each other’s words. I think it might be because of a bad connection here. Give me just one moment to fix it. I’m not editing this out, so people, wait with me. I promise I won’t be long. I’ll be right back. Andrew: Everything seems to be OK. I just looked at the connections without touching them too much. Dan Martel’s company. You use them. What’s that company? Justin: Clarity.fm. I found these guys about two months ago, maybe. It’s a way to connect with experts in different fields and get clarity. Able to find someone’s profile and say, “Hey. I’d love to talk with you. You are good at this, social media marketing.” Submit times, and they’re able to respond back and say, “Hey. Yeah. I’ll talk.” People can basically dial into a teleconferencing number. You can say, “My time is free,” or you can say, “$1 per minute,” something like that. I’ve gotten a ton of value through there. Now, I’m on there as well. People are requesting calls from me. I’ve gotten a huge amount of value with that, finding people and being able to have those conversations with them. Andrew: That’s how you get mentors? You call them up and you say, “Hey. I need some help with this specific issue.” Get the right responses. Wildfire is another tool that you use. We talked about that, for creating contests, so you don’t have to do it yourself. Who do you use to send out email? Justin: With email, we’ve used Mail Chimp and have been very happy with them for sure. Andrew: Why do you like Mail Chimp? Justin: Why do we like Mail Chimp? I think it’s the easiest to use. For us, day one, I think it was great. They have the free plan, getting you going. Probably, I’m sure that was a big part of the thought process. We were just kind of testing this out and able to do the basics for free. Then, we figured out this works. They have enough tools in the back end for communication. That more than met our needs, so far. It’s been great. Andrew: All right. I also tell people at the end of the interview, that they should be thanking guests. If I asked you, who would you want to thank in this interview? Who helped you? Who are the three people you singled out? And there could be so many others, but we had to limit it to three. Justin: Some of the people that have really taken time out with me. A few of these are meant for clarity, as well. One, in particular, is Dane Atkinson. He’s over at sumall.com. They’re analytics for e-commerce. He made things super easy. I was able to connect when they were just starting out. Diamond Candles was using their product, when it was in the beta stage. And really connected with them. It’s kind of on-going. He’s been great to connect with and he’s got a lot of valuable insight. He’s definitely been able to do a lot and count as a friend here, now. Andrew: Specifically for analytics, and also for business advice. Justin: Yes. Definitely on both ends, for sure. Andrew: All right. Who’s the next person? Justin: The next was also, this connection initially was through Clarity, Aaron Ginn [SP]. He was most recently the growth factor for the Romney campaign. Now he’s over at StumbleUpon. He’s got a great blog, with great content. He’s got some great thoughts, and I’m following his stuff there. Just great marketing mind, and the conversation I was able to have with him and the connections has been super valuable. Andrew: And you read his blog at AJinNT.com. We have to add this all to the bottom of the interview, so people can see it. So, he’s a growth hacker who’s helped you think about how to grow and also, you enjoy his writing. And, there’s a third person, Jessie Farmer. Who’s Jessie Farmer? Justin: Yeah. Jessie Farmer, I was able to connect with him. I can’t recall exactly, but I think was originally through Clarity, as well. He was one of the founders at Everling.com. Now he’s transitioned and he’s over at Dev Bootcamp. Which is a nine week intensive training on development. He popped out the other end of developer, and he did a good job in the development world. His levels of expertise in lots of different fields. He’s a really experienced guy with some great insight. He was a great connect for me and a great mentor. Andrew: All right. I’m going to ask Ari to add that to the bottom of the interview post, so that people can see it. All right. Here’s my final question. I’ve been thinking about this. You give people a ring inside the candle. Sometimes the ring is worth more than the candle. Sometimes, way more than the candle. I feel like that’s one of the reasons why they’re buying the candle. They want that chance to really break the bank. The lottery ticket. Andrew: And, so, there’s an issue, where, as you grow, that might end up having legal ramifications, right? Andrew: Do you think you’ll be asked at some point to stop this? That there will be an issue with it? Justin: No. Definitely not really worried about that. Andrew: OK. All right. If people want to check out the site. It’s just diamondcandles.com. You got the straight up URL. No outside funding, still, to this day? It’s all you guys? Justin: Yep. All boot strapped. Andrew: All right. I urge everyone to check out… How do you feel about that last question? We still are in the interview. I’m sensing a change in you. Or, I . . .
Justin: Oh. No. You’re good. You’re good. That’s a good question. Andrew: All right. Good. All right. It’s diamondcandles.com. You just heard Justin say thank you to three people who have helped him. I urge you guys, always, in the interview. If you see anyone on the Mixergy with the interview, or anywhere else. Thank them in the interview, even if you’ve never met them in person. Maybe especially if you’ve never met them in person. Just find a way to connect and say “thank you”. I’ve seen this happen so many times. Where, a thank you leads to a business relationship, leads to a friendship, leads to something that’s completely unexpected or sometimes just to you feeling good. For having said “thank you.” So I’m going to say it, and I hope that you guys have an opportunity to see Justin on line, to send him an email, to do something else. I hope you’ll take it and do what I’m about to do. Which is just say, Justin, “thanks for being so open here, thanks for sharing what you learned. Andrew: All right. Thank you all for being a part of it. Bye, guys.